For the second year in a row, I designed the free Row by Row Experience pattern for Pintuck & Purl, a yarn and fabric shop in Exeter, NH. (You can learn all about Row by Row here.) For this year's theme of "On the Go," I designed this block featuring two rows of hand-appliquéd tires with Liberty of London rims. Since each tire and rim are hand sewn to individual blocks, the row is super portable and perfect for tucking into your carry-on or beach bag. 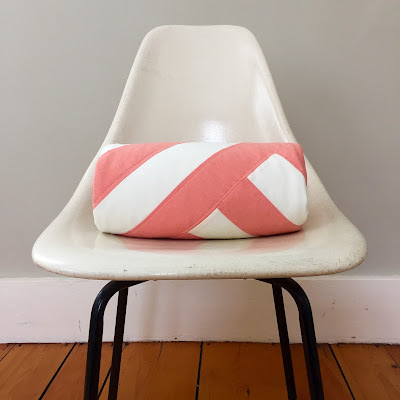 I did a fun little interview for the Pintuck & Purl blog about the row, its inspiration, and even a bit about my background, in case you'd like to learn more. The only way to get your hands on this pattern is to visit Pintuck & Purl in person between now and September 5. The shop also has a handful of kits available for purchase, which include those yummy bits of Liberty of London Tana Lawn. If you can't make it to the shop this summer, the pattern will be available for purchase through Pintuck & Purl after November 1, 2017. 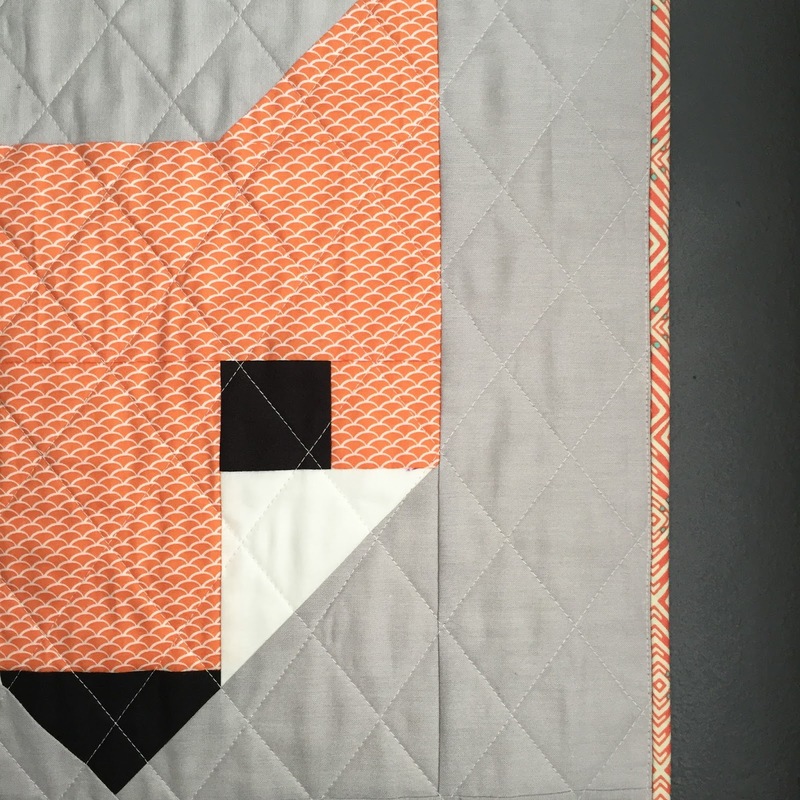 And if you're itching for more hand-appliqué inspiration and projects, be sure to check out Crazy Mom Quilts' "dot your i's" quilt, Suzy Quilts' free Aria Quilt pattern, and Carolyn Friedlander's book, Savor Each Stitch. For this year's Row by Row Experience (an annual quilt shop hop where store visitors can pick up a free pattern to create a quilt row based on that summer's theme), I was tasked with creating the row for Pintuck & Purl, the fabric and yarn shop based in Exeter, NH, where I occasionally teach. This year's theme is "Home Sweet Home." I spent quite a bit of time with my sketchbook while designing this row, trying out different ideas which involved flying geese, front doors, and inspiration from local architecture. I eventually began playing around with the basic shapes that form a house---triangle roof and square body---sketching out ways to nest the shapes together in a simple, repeating pattern. The idea I eventually settled on was to alternate hourglass blocks with squares, and use mostly low-volume fabrics for the pieces. The houses would emerge by switching to bold colors in only a few select places. The final pattern is minimal, yet striking, and was a very fun experiment for me. 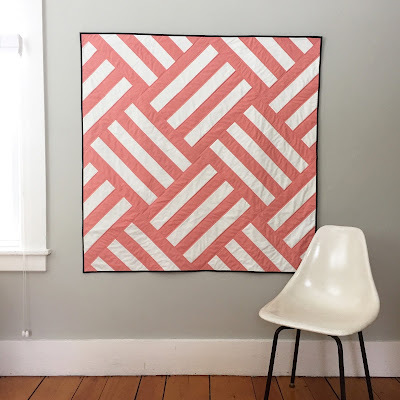 I love that the resulting row is reminiscent of an aerial view of a neighborhood, with the dense straight-line quilting referencing roads or even plowed fields. The free, printed pattern for this row will be available only at Pintuck & Purl, today through September 6, 2016, so be sure to stop in and grab one when you're in the area this summer!